Get ready for the biggest Country show of Winter 2018! St Augustine Amphitheatre presents Chris Young, Kane Brown & LANCO on Friday 16th February and it's going to blow you away! Pulling out all the stops, Chris Young, Kane Brown & LANCO knows how to make a crowd go wild, with a phenomenal, unforgettable live show! Now THAT'S entertainment! Tickets are on sale now, get yours today to ensure your seat. "Not only is he a highly talented musician but he is just so adorable, likeable and seems like the nicest man in the world. He certainly gives the audience what they want and shows his gratitude with every second of his show." After being declared the winner of the hit TV show 'Nashville Star', on the USA network – Chris Young went on to become just that himself! It all kick started with his self-titled debut album that took over the charts and radio play across the US! "Drinkin' Me Lonely" and "You're Gonna Love Me" received nothing but a positive response and paved the way for his second 2009 release. The Man I Want to Be of course included so many favorites including; "Voices", "Gettin' You Home (The Black Dress Song)" which shot to the number 1 position! 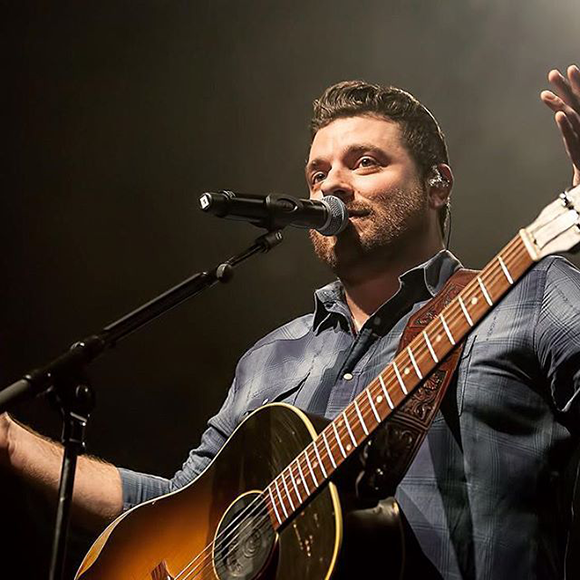 2018 brings yet another exciting season of concerts and Chris Young always brings the energy to the live stage! Catch him at a venue near you this coming February! !